Join us in congratulating Michal Lipson! 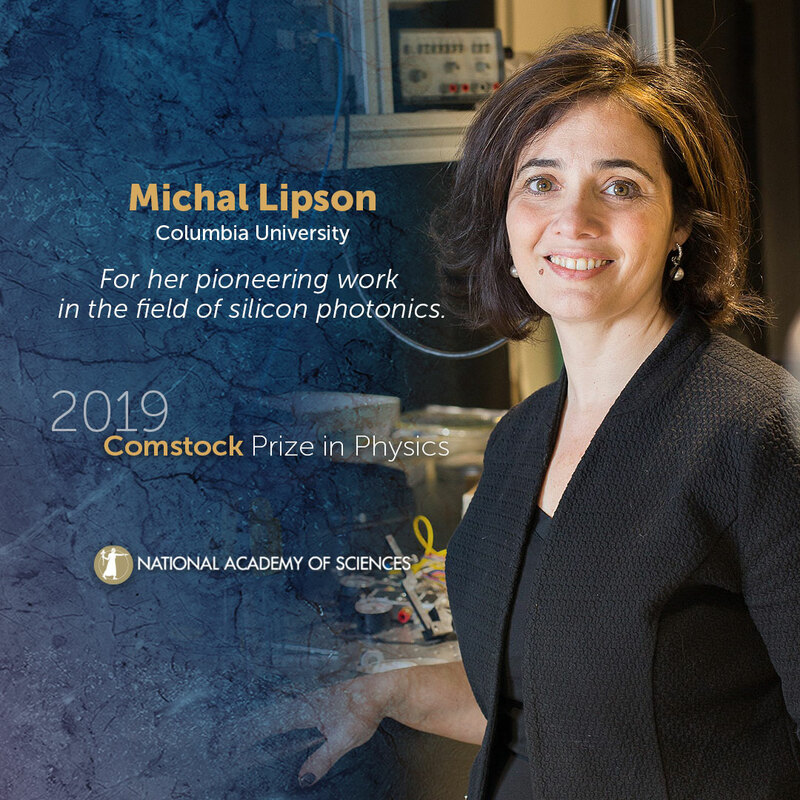 Michal Lipson, Columbia University, will receive the 2019 Comstock Prize in Physics. Lipson’s pioneering research established the groundwork for silicon photonics, a growing field in which she remains a pioneer and leader. The technology, which uses optical rays to transfer data among computer chips, is now considered to be one of the most promising directions for solving major bottlenecks in microelectronics. Lipson’s innovations began during her postdoctoral work at MIT, and quickly moved forward when she moved to Cornell University. There, she developed techniques to tailor the electro-optic properties of silicon that led to the first advances in silicon photonics, including demonstrating the ability to confine light well beyond the traditional diffraction limit using what she termed “slot waveguides.” These waveguides are being applied for many applications, including telecomunications, bio-sensing, and on-chip transport of nanoparticles. Lipson has co-authored more than 200 scientific publications, which have collectively been cited more than 35,000 times, making her one of the most highly cited researchers in modern physics. The Comstock Prize in Physics recognizes a North American resident for a recent innovative discovery or investigation in electricity, magnetism, or radiant energy. The prize is presented every five years with a $50,000 prize and $50,000 to support the recipient's research. Please use the following sample social media posts and other materials to congratulate Michal Lipson.